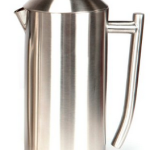 What company produces this french press maker? 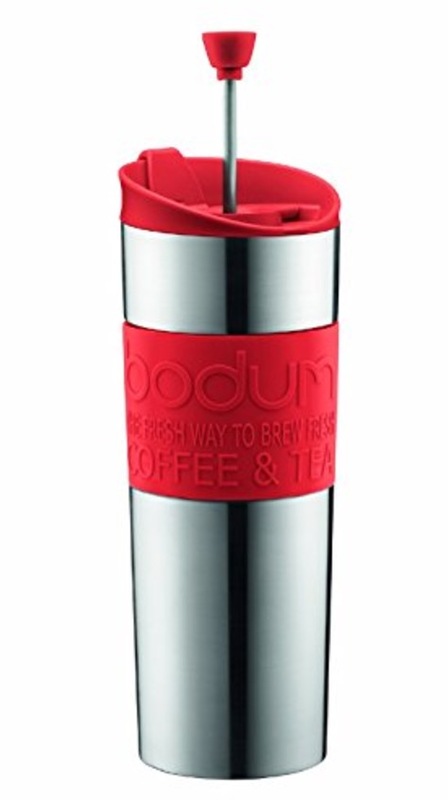 Is it Bodum? But, what is Chambord? The french press has an extended history that dates back to the late 1800s. The short version is that one of the first, patented french press makers was called the “Chambord.” As it’s popularity grew, the Danish company, Bodum, became its distributor throughout Denmark and eventually bought out the rights. If you’re curious to know whether this coffee maker is actually french (or perhaps, Italian?) here you can read the history of the French press. Whether you are interested in the history or in love with with this method of brewing, the Bodum Chambord French Press will bring out the best from your coffee beans. The Bodum Chambord has a one-of-a-kind, iconic design. It features a heat-resilient borosilicate glass, stainless steel frame, and a heat resistant handle. All but the mesh is dishwasher safe, making it ideal for quick use and clean up. If you’re unfamiliar with how to make coffee with a french press, it’s actually a lot easier than you can imagine. You will have to grind your own bean with a hand grinder, if you have one. Or, you can purchase your coffee already ground up (sacrificing some coffee quality though). Once you have the coffee ground up, the next thing to do is put it into the Bodum Chambord, add the hot water, let is steep for a few minutes. Once the coffee is ready, you press the plunger and you’re ready to pour the cup. 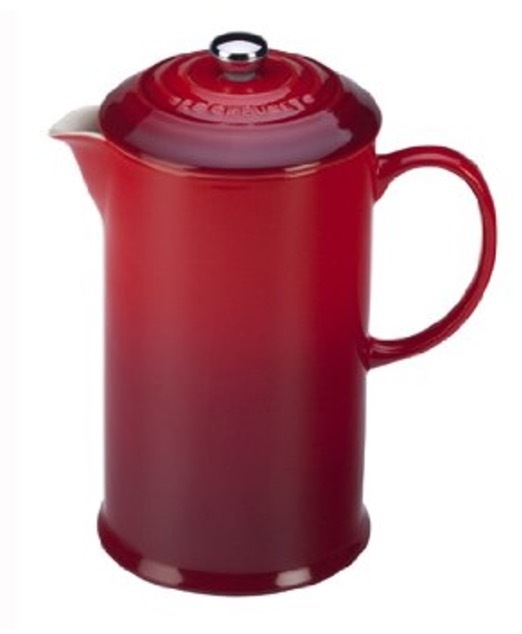 This Bodum Chambord 8-cup coffee maker is truly that simple. That glass beaker is nice, but will it break? If that’s a concern and the primary reason why you wouldn’t purchase this french press, consider this. Being made of borosilicate, it’s extremely durable and ultra strong. The reason why borosilicate is used for the beaker is due to it’s ability to resist heat. Have you ever poured piping hot water into a glass cup? It can shatter. The Bodum Chambord 8-cup is very resilient and able to tolerate high temperatures. We hope you like your coffee hot! By the way, the method of making this kind of glass is safe to use for drinking and cooking — there are no harsh chemicals that could harm you. NICE AND SHINY — IMPRESSIVE! The makers of Bodum really know how to make quality coffee makers. The Bodum Chambord has a finely finished, stainless steel frame and lid. It gets it’s shiny effect from the several coats of chome plating finish which will last you for years. There’s nothing better than having an impressive French Press maker that goes along your equally impressive coffee catering skills. For the sake of convenience and ultimate cleanliness, the 3 piece stainless steel filter makes clean up fast and simple. At the top you have the spiral plate which keeps the mesh tightly in place. This ensures the water passes but not the much unwanted coffee grinds. Next, the filter plate is extremely well made and prevents even the finest coffee grind to pass through. Finally, the bottom cross plate is screwed onto the end of the compressing rod (attached to the lid) and it keeps the entire filter in place. Simple. Easy. Convenient. Thank you Bodum. You might not have even thought about this, but the french press by Bodum Chambord doesn’t use paper filters. Other methods of brewing coffee, like traditional drip coffee and the Aeropress, require you to use paper filters for every use. You know, that’s a lot of extra money to spoon out for a cup of coffee. So, aside from reducing the amount of waste you produce, this coffee maker is going to save your bank accounts from consuming too much coffee. Now, that’s a smart investment! For those who enjoy an easy-to-make coffee that keeps the rich and quality flavours in your cup, the Bodum Chambord 8-cup French Press maker is something you should seriously consider. The size is perfect and personal for serving small parties and get togethers. And, it’s stylish and sleek stainless steel design makes it worth the purchase.